MIAMI - The U.S. Postal Inspection Service is offering a reward of up to $20,000 for information that leads to the arrest of a man who robbed a letter carrier of her keys at gunpoint. The armed robbery was reported shortly after 2:30 p.m. Saturday at the corner of 296 NW 59th St. in Miami's Little Haiti neighborhood. Investigators passed out fliers Wednesday in the area in hopes that someone will have information about the culprit. "One of our letter carriers was conducting her business on her route when an unknown male just approached, pointed a weapon at her, and said, 'Give me your keys,'" U.S. Postal Inspector Ivan Ramirez said. Ramirez said the keys that were stolen go to mailboxes in the area. He said thieves who have stolen someone's identity could now use those keys for a place to have things like fake credit cards delivered. "'Well, I'm not going to have them sent to my house. So now I'm going to find, usually an apartment building, apartment complex, some neighborhood collection box, where I can make sure that the Postal Service is going to guarantee delivery of this credit card. But now I need a key to get into it,'" Ramirez said. Investigators described the robber as a heavyset black male, weighing between 220 to 250 pounds. Authorities said he is about 5 feet, 7 inches tall and wore a black hoodie and a bandana that covered his mouth. 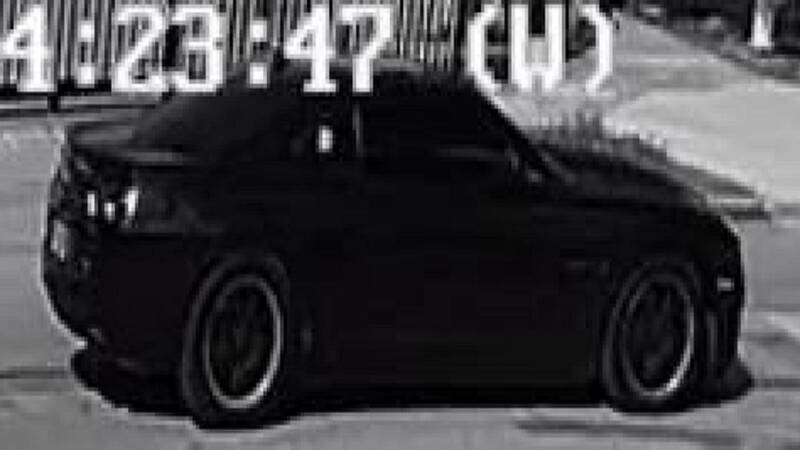 He fled the scene in a newer-model Chevrolet Camaro with dark-tinted windows and black rims, authorities said. "This person is considered armed and dangerous and, again, if he's willing to do this to a federal employee and face federal charges, whose to say he's not going to do it to you or I?" Ramirez said. Postal inspectors said they have given notices to people whose mailboxes could be affected. They said they are also changing the locks on the mailboxes Wednesday. Anyone with information about the robber's identity is asked to call the U.S. Postal Inspection Service at 877-876-2455.